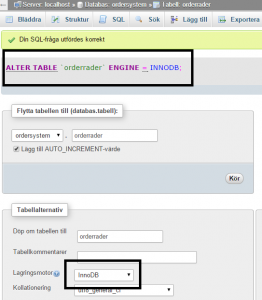 In this guide we will explain how to convert from MyISAM to InnoDB in just 5 simple steps! 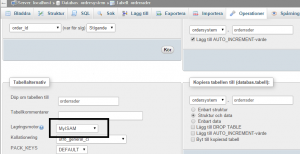 We will use phpMyAdmin as that is the most easy way without any hassle. 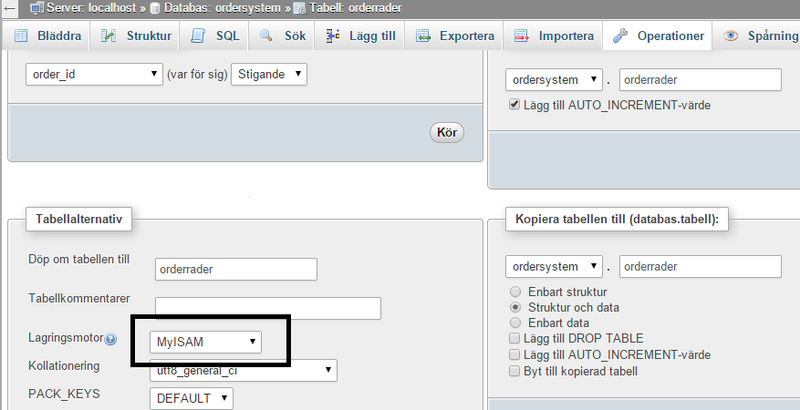 In this example I will change “orderrader” to InnoDB. 5. And you’re done. Simple as that! 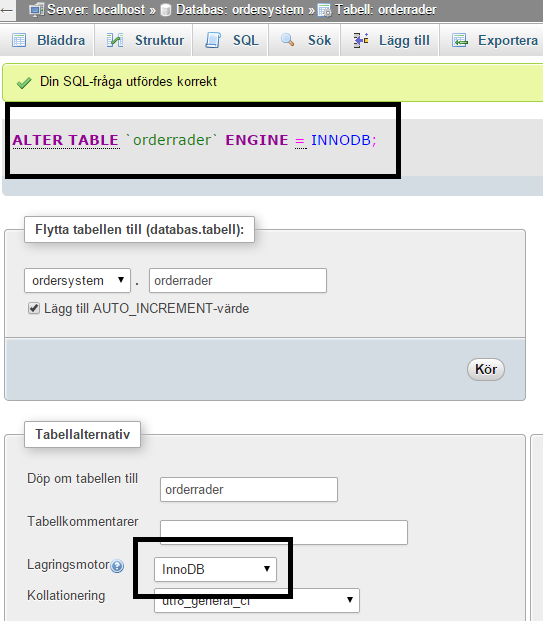 And then copy the output and run a new SQL query with that output.